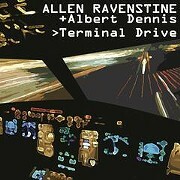 On Friday, proto-synth innovator Allen Ravenstine will release his new album, Waiting for the Bomb, on fellow Pere Ubu alumni (and Henry Cow founder) Chris Cutler's label Recommended Records. The English composer and musician thinks highly of the release. "In this unusual recording, he arrives at a hybrid musical form that is more or less without precedent," says Cutler, who calls it “discursive, digressive and disrupted by generic and emotional shifts,” in a press release. 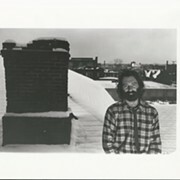 Ravenstine's career began when his composition Terminal Drive (reissued last year on Smog Veil Records) led him to become a founding member of the Cleveland art punk band Pere Ubu. Ravenstine met the members of Ubu when he lived downtown at 32nd St. and Prospect. Ravenstine didn’t enjoy playing live, but he still toured for a short time with Pere Ubu. By the early 1990s, Ravenstine quit working as a professional musician and became a commercial airplane pilot. A few years ago, keyboardist Robert Wheeler contacted him about being in the documentary film I Dream of Wires. The two performed together, and Wheeler subsequently sent Ravenstein a synthesizer as a Christmas present. That put Ravenstine on the path of recording again. In 2016, he released The Pharaoh’s Bee and began writing and recording Waiting for the Bomb. He took the audio files to Grant Avenue Studio in Hamilton, Ontario where he added percussion and trumpet. Songs such as the title track feature a mixture of spoken vocals, eerie synthesizers and rattling percussion, making the disc sound like the soundtrack to a vintage sic-fi flick.